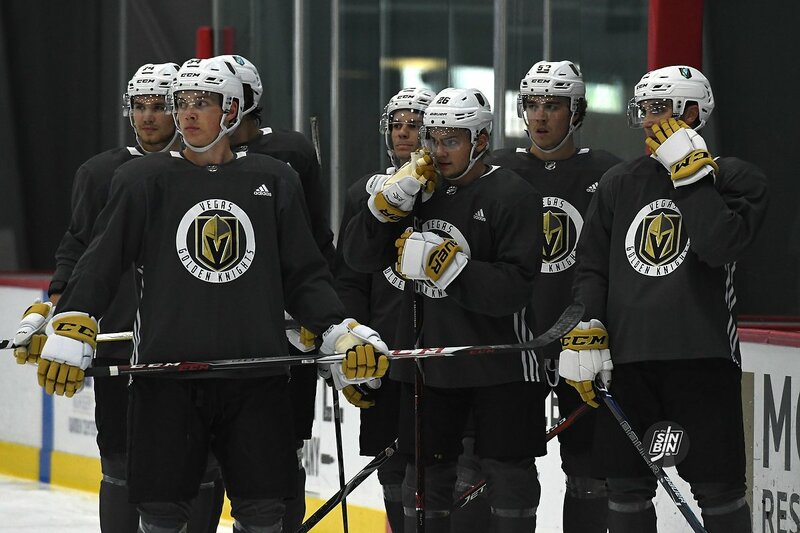 The Golden Knights practice facility, City National Arena will host a six-team, three-day “tournament” featuring top NHL prospects. The six teams participating are the Vegas Golden Knights, Anaheim Ducks, Arizona Coyotes, Colorado Avalanche, Los Angeles Kings and San Jose Sharks. It’s being called the Vegas Rookie Faceoff. Each team will play three games with all nine games being held at City National Arena. Games will be played on September 8th, 9th, and 11th with the Golden Knights rookies taking on the Avalanche, Sharks, and Kings. Here’s the full schedule for the event. Rookie tournaments are fairly common in the NHL as they offer a chance for teams to play games against different opponents in a short period of time without having to travel. The Red Wings have hosted a tournament in Traverse City, MI for the past 20 years and includes eight teams. Toronto and Buffalo host similar tournaments as well. Last year the Golden Knights traveled to El Segundo to play a pair of rookie games against the Los Angeles Kings. Ticket information has not yet been released for the Vegas Rookie Faceoff. However, fans interested in tickets can fill out this contact form to be alerted when they are available. The games are expected to be available either on TV and/or via Internet stream, but details have not been announced at this point. These games will be an excellent opportunity for fans to see Golden Knights top prospects, Cody Glass, Nick Suzuki, Erik Brannstrom, and Nic Hague. Plus, the 5th overall pick from 2018, Barrett Hayton (ARI), the 4th overall pick from 2017, Cale Makar (COL) and the 3rd overall pick from 2015, Dylan Strome (ARI) are expected to participate. Other top prospects like Gabe Vilardi (LAK), Kale Clague (LAK), Sam Steel (ANA), Vladislav Kamenev (COL), Conor Timmins (COL), and Ryan Merkley (SJS) should all play as well. Hopefully, the Vegas Rookie Faceoff becomes an annual thing because it’s going to be a lot of fun to watch.